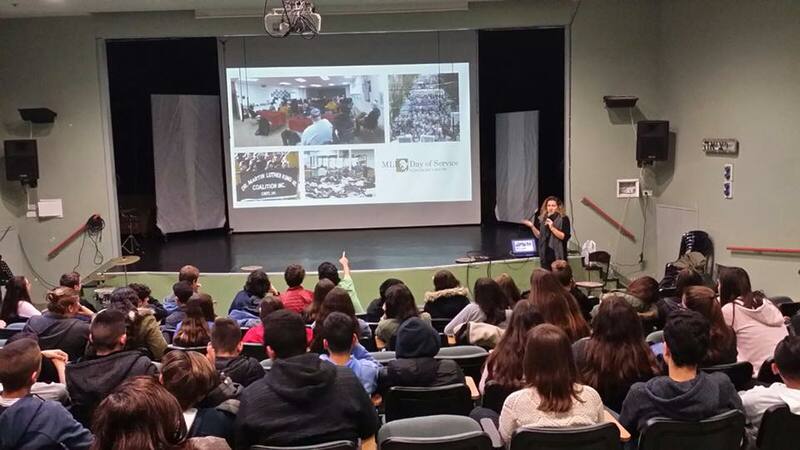 Cincy Fellow Brianna Pecsok discusses Martin Luther King Jr Day with her Israeli students. She is spending a year in Netanya, Israel teaching Israelis about life, culture, and Judaism in the United States. Brianna Pecsok, a 25-year-old Cincinnati native, is spending a year in Netanya, Israel as the Jewish Federation of Cincinnati’s first Cincinnati Fellow in Israel, or Cincy Fellow. Pecsok is an American emissary who is teaching Israelis about life, culture, and Judaism in the United States. While many cities, including Cincinnati, welcome emissaries from Israel to the United States, the Cincy Fellow program is the first time an American Federation has done the reverse. The Cincy Fellow is a Partnership2Gether (P2G) program of the Jewish Federation of Cincinnati. As the seasons begin to change in the United States, and as I’ve been enjoying the sun and sand in Netanya, I have been thinking about how we mark time. In the American Jewish community, there is a lot of discussion about the Jewish calendar verses the secular calendar. In Israel, I’m immersed in the Jewish calendar. The rhythms of work and rest revolve around the Jewish calendar—from the weekly Shabbat to the seasonal breaks. We’ve been in a season of work in Israel. In fact, many people say the bulk of work gets done in this country from after the high holidays until Pesach (Passover)—which so far, seems to be true. However, much of what I am teaching about in Netanya revolves around our American secular calendar and how the Jewish calendar fits into our mostly secular schedules, which are dictated by many companies’ work hours and days off. 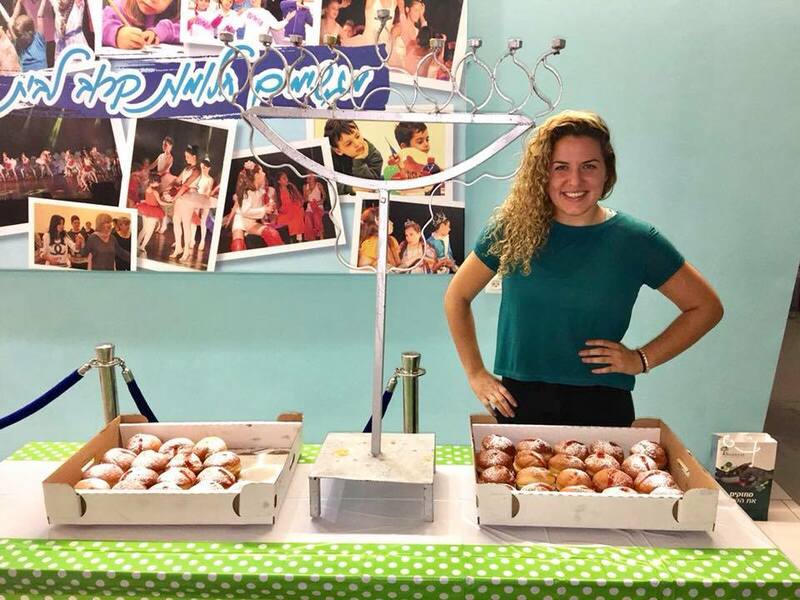 In addition to teaching Israeli students about American culture, Brianna Pecsok held a Chanukah party for her community. I spend most of my time teaching at the school, where I have gotten to delve into a wide range of topics relating to American culture and Jewish pluralism, often through the lens of an American holiday. Outside of school, I am connected to a youth delegation that will be going to London this summer, I teach in youth movements such as Maccabi and Tzofim, I taught a two-month acroyoga course at the matnas (community center) in my town, and I organized a community Hanukkah event. In addition, I am looking forward to working with delegations that will be going to Cincinnati this summer and fall to prepare them. When I was preparing to teach this lesson, I couldn’t help but feel a little bit overwhelmed. I felt unqualified to talk about this subject. However, I remembered back to when I was preparing to come teach in Israel. [My mentors] Sharon Spiegel and Maia Morag kept telling me, “You may not be an expert, but you know more than they do.” Through their guidance, I came up with a lecture to begin to explain this complex topic. As part of her lesson on Martin Luther King Jr Day, Brianna Pecsok talked about ways people in the United States mark the occasion. At the beginning of the lecture, I handed out slips of colored paper. Then I asked the students holding one color to go to the back of the room. I asked the students holding the other color to come to the front of the room. At this point, I gave cookies to the students in the front of the room and praised them for their hard work in school or how awesome they are. I completely ignored the group in the back. After that exercise, I brought up a slide about the history of segregation on public buses. I can tell you they were definitely paying attention. The reality is that Israeli students know little to nothing about the history of slavery in the United States. Many thought that the Civil War was a war between white and black people. They may have heard of Martin Luther King Jr, but they did not know why he was fighting for equality. They didn’t know the essential role religious leaders play in issues of humanity in the United States because their religious leaders are part of the political system in Israel. They may have heard of Black Lives Matter, but they didn’t recognize Treyvon Martin. The list goes on. I kept coming back to teaching from a beginner’s perspective. What would my questions be if this was the first time I was learning this? How can I relate this to something they are familiar with? 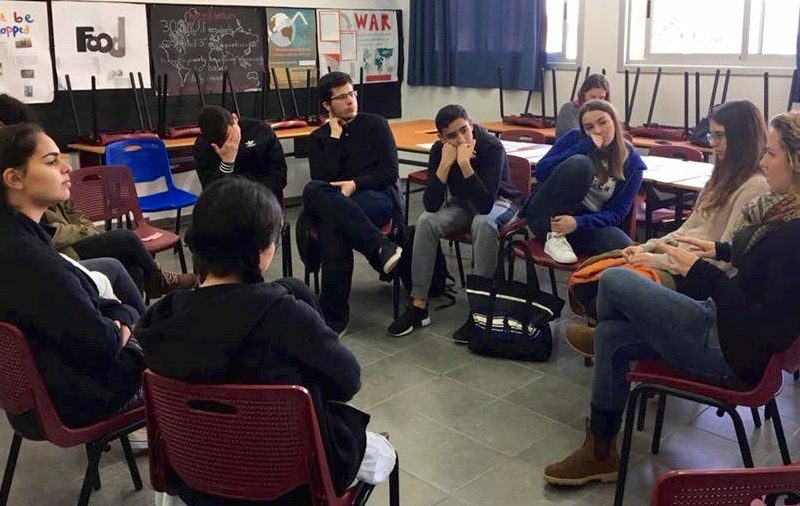 The Cincinnati Fellow in Israel program is made possible by Partnership2Gether of the Jewish Federation of Cincinnati and by the Masa Israel Teaching Fellows Program. Thanks to you, Brianna Pecsok is making connections and expanding awareness in Israel of the many ways Americans identify as being Jewish.